Too early for play-off talk? Coventry City made it five wins in six league games this afternoon with a 3-0 win over Notts County at Sixfields. Second half goals from Callum Wilson and a Leon Clarke brace secured the victory over the ten-men Magpies, following the first-half dismissal of County striker Danny Haynes. Both Wilson and Clarke have now scored 8 goals at Sixfields, and both have 11 goals in the league this season, the league’s best alongside Leyton Orient’s David Mooney. Understandably, after the club’s start to the season, many are predicting that come the January transfer window clubs will be circulating around players and that the club will struggle to keep the squad together, although the club were boosted with Callum Wilson signing a new two-year contract earlier in the week. The three points collected this afternoon takes City into the top half of the table for the first time this season, despite starting the season on -10 points. Sitting in 11th place, the clu are currently only 3 points off the play-off places and 7 clear of the relegation zone. Understandably, fans are already dreaming of the play-offs and the chance of promotion back to The Championship come the end of the season. After the match, manager Steven Pressley urged supporters, and his players to keep their feet firmly on the floor, reiterating the stance he has taken from day one of the season. 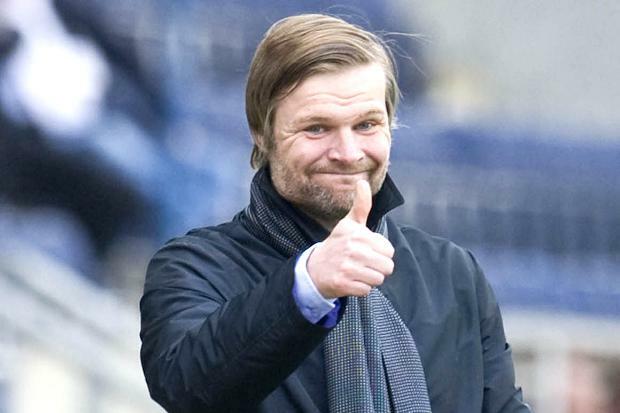 Do you agree with Pressley, or are you dreaming of the lottery of the League One play-offs already? « Coventry City drawn away to AFC Wimbledon in FA Cup First Round.